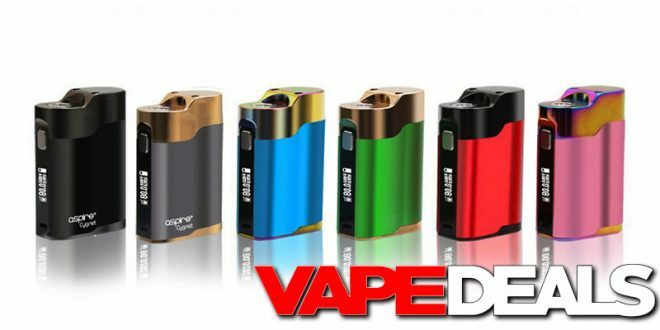 The Aspire Cygnet 80W Box Mod is now sitting on the clearance shelves over at Cvapor. They’ve dropped the price all the way down to $14.99! That’s about $20 less than the next lowest price I could find. Seems like a great deal if you’re looking for a compact single-battery device. They still have 6 different colorways in stock too: Black/Grey, Blue/Rainbow, Green/Gold, Grey/Gold, Pink/Rainbow, and Red/Black.